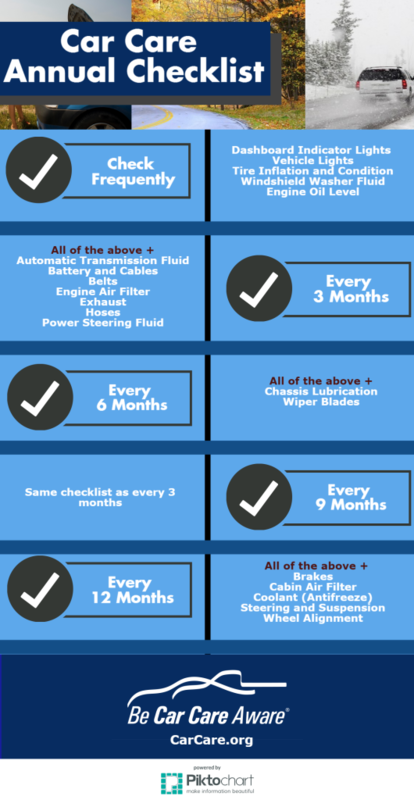 Learn more about these maintenance items here, or in our printed Car Care Guide. Remember, this is a general service schedule and every vehicle is different. Consult your owner’s manual for specific maintenance intervals. Re-distributed with permission from CarCare.org. The original post can be found here.